The Walking Dead's Eduardo actor Peter Luis Zimmerman has joined the cast of Disney's Jungle Cruise. ComicBook.com can exclusively confirm that Zimmerman is currently in production on the upcoming film, starring alongside Dwayne Johnson, Emily Blunt, Jesse Plemons, Paul Giamatti, Edgar Ramirez, and Jack Whitehall. Jungle Cruise is directed by Jaume Collet-Serra on a script from Glenn Ficarra, Michael Green, and John Requa. The details of Zimmerman's character are being kept a secret for the time being with more elements of the film expected to surface closer to its release. Zimmerman has portrayed Eduardo on AMC's The Walking Dead since its sixth season, a character following Maggie's lead at the Hilltop by the end of Season Eight. Zimmerman is also known for appearances in Meet the Browns, Banshee, and Single Ladies. Outside of the rising acting career, Zimmerman recently released an album on Apple Music with wholly original music, under the title of "Z". It is available for download now. 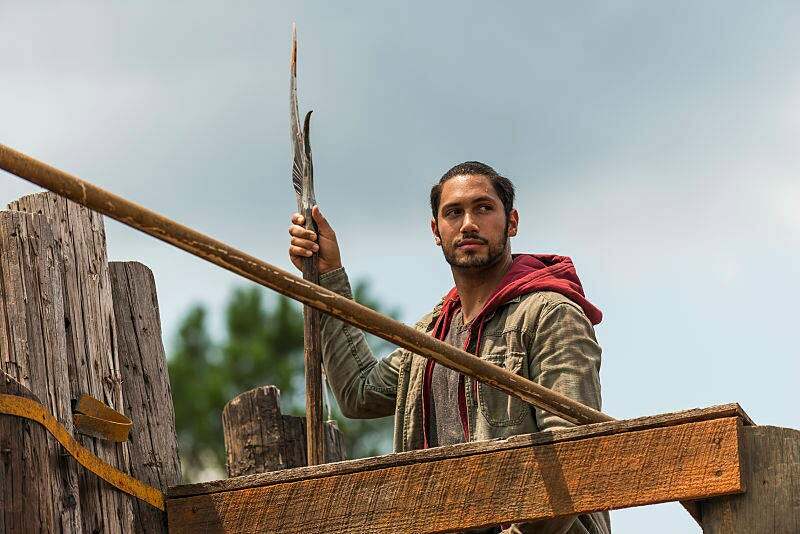 Zimmerman will be appearing at Walker Stalker Con in Orlando on August 11 and August 12, where fans might be able to squeeze some Jungle Cruise details out of the actor as he stands beside some of his fan-favorite Walking Dead co-stars meeting fans. In a recent announcement video for Jungle Cruise, the film's headlining stars Blunt and Johnson welcomed fans to the film's production which is taking place in Atlanta, Georgia. Jungle Cruise visual effects supervisor Jake Morrison is calling this movie Rock's version of Indiana Jones as a comparison, which sounds pretty fantastic on its own. "I mean I've got to say, I'm incredibly excited about the whole thing, it's really like Dwayne is in a new Indiana Jones film. It's Dwayne at his best, and that is a man with some severe charisma," Morrison said. "And then we're putting him on this huge adventure, and they've just literally announced the female lead in the picture is Emily Blunt. So, we're really excited. We start principal photography ... well I'll probably blink and we'll be doing principal photography, but we are in prep right now. And that's going to be a very fun film." Jungle Cruise is set for release on October 11, 2019.